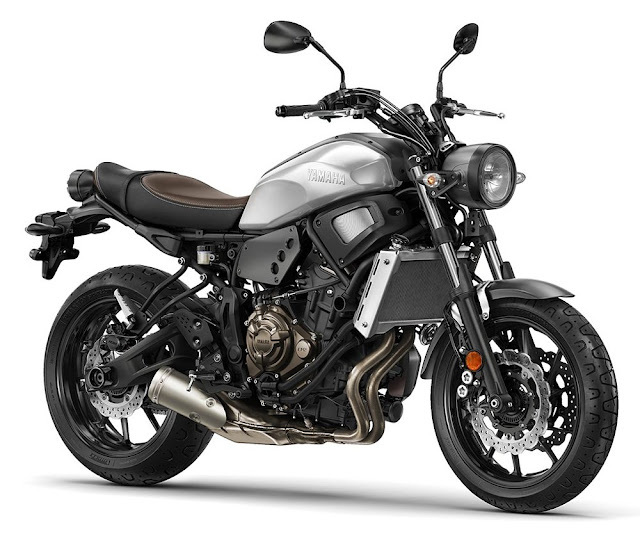 Yamaha has released images of its new XSR700, a retro-styled production model based on the FZ-07 and designed in collaboration with bike builder Shinya Kimura. 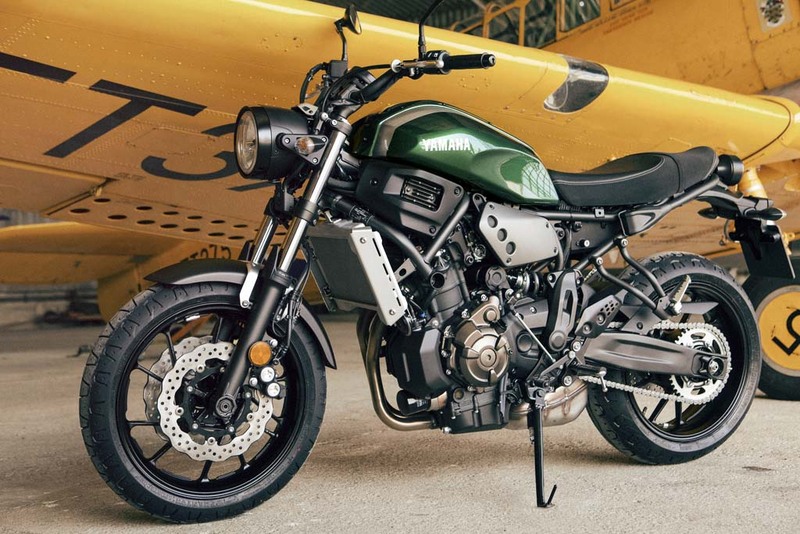 The XSR700 pays tribute to the classic XS650 but with modern technology, including the 689cc Twin engine and uses the same motor and frame as the FZ-07, one of the best bikes in Yamaha’s stable. The parallel-Twin engine has an uneven firing interval and 270-degree crank, part of Yamaha’s “Crossplane Philosophy”. Yamaha claims a maximum output of 73.8 hp at 9000 rpm and 50.2 lb-ft. at 6500 rpm, and with fuel consumption at 54.7 mpg it should provide a range of about 200 miles. The XSR700 has the same 10-spoke aluminum wheels of the FZ-07 with four-piston calipers stopping the 282mm wave-style dual front disc brake while the rear brake uses a 245mm disc. Yamaha claims a dry weight of 410 pounds and ABS is offered as standard. A two-texture leather seat, headlight brackets, an aluminum fender and fuel tank, mesh side panels, a short exhaust and a host of manufacturer accessories complete this retro model. 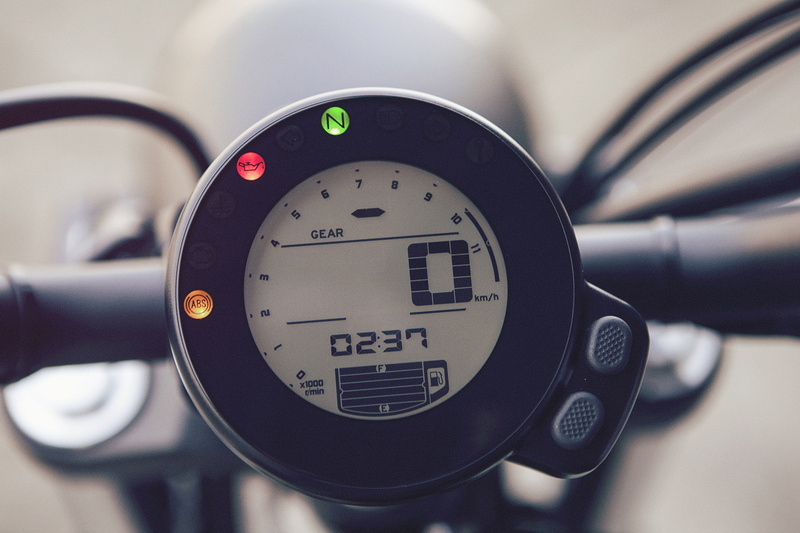 The digital speedometer is a masterpiece of simplicity and beauty while offering all needed information in a modern motorcycle. 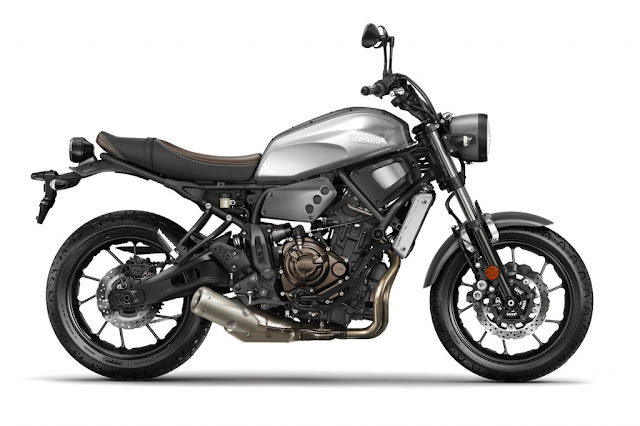 The XSR700 will go on sale this November in both Forest Green and Garage Silver and though the price hasn't been announced, expect to pay a little over the $6,990 FZ-07 price. The forest green with the silver accent is a fine look, and 7 grand sounds like a mighty reasonable price to pay for what seems to be a well-endowed naked bike. I agree, the forest green is beautiful and 7 grand seems like a reasonable price too. 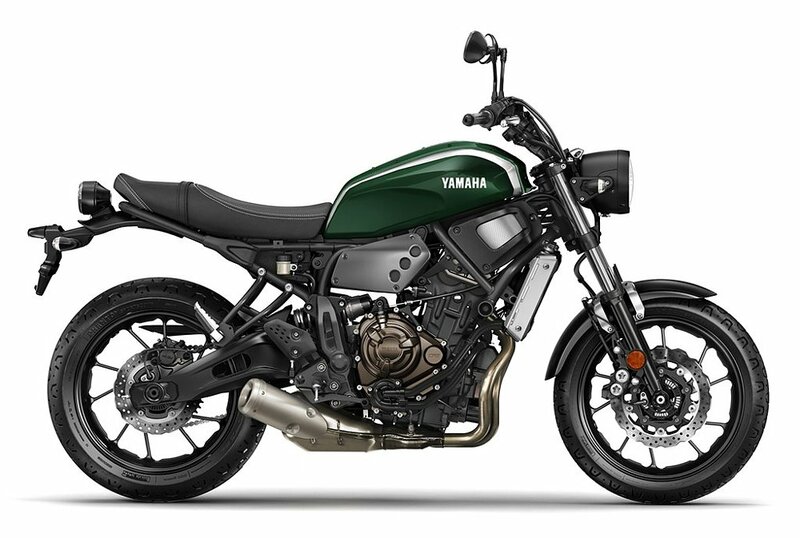 Can someone tell me if the XSR 700 will be available for the US market? 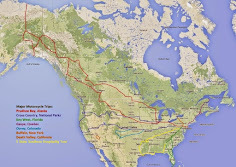 Sooo.. let me get this straight. I ride a 1981 xs650.... a bike that literally has clubs built around it and quite a following to this day. but I can't buy it in the USA.